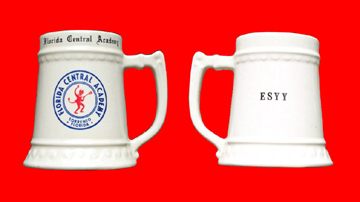 This photo of the FCA mug from the 1960s was sent in by E. Sears Young, Class of 1967. "There really isn't too much to say about the mug. I remember the school selling them and wanting one. I want to think they sold for about $20. You had to order them because they put your initials on the back of them before they are glazed."